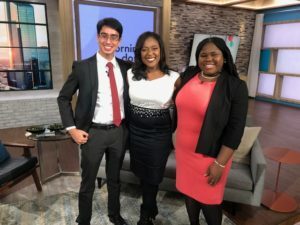 alliantgroup STEM Scholarship winners Christiana Okafor and Daanish Sheikh were interviewed on CW39 in Houston by Morning Dose anchor Sharron Melton. Christiana and Daanish spoke about their passion for STEM and their future plans to work in the medical field. alliantgroup Community Relations Director Casey Curry joined the scholarship winners and announced the latest round of the alliantgroup STEM Scholarship Program is now open and accepting applications. Learn more about alliantgroup and the alliantgroup STEM Scholarship Program. Casey Curry, joined alliantgroup as the company’s Community Relations Director early 2018. 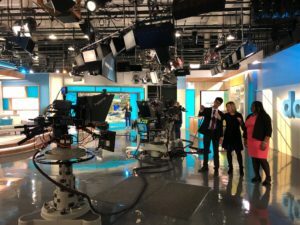 As a meteorologist by trade and media personality based in Houston, you may have seen Casey on FOX, ABC and NBC, as well as the guest meteorologist on the weekend edition of Good Morning America in New York City.